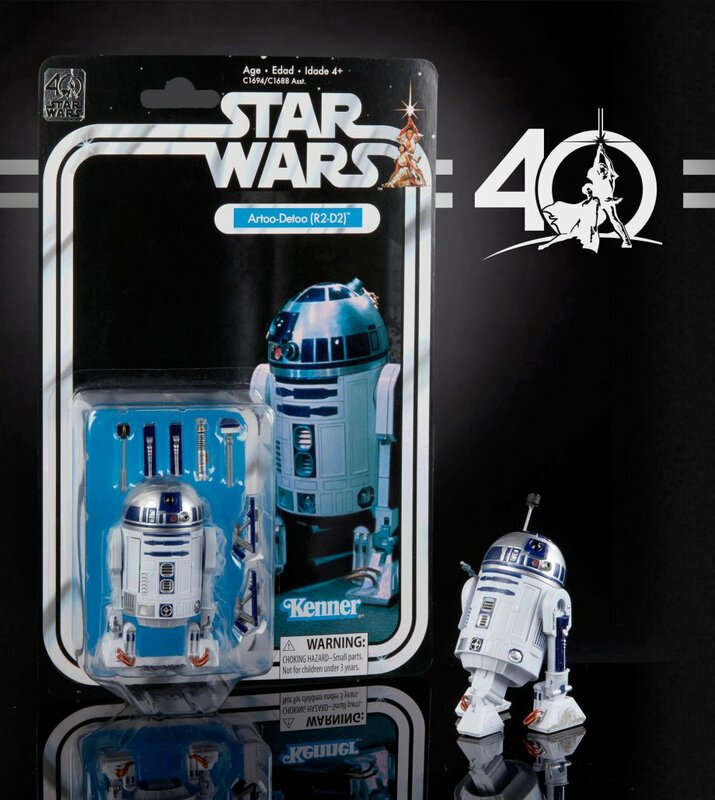 This year marks the 40th anniversary of the original Star Wars film, and Disney, Lucasfilm and Hasbro have some huge things in store for us. 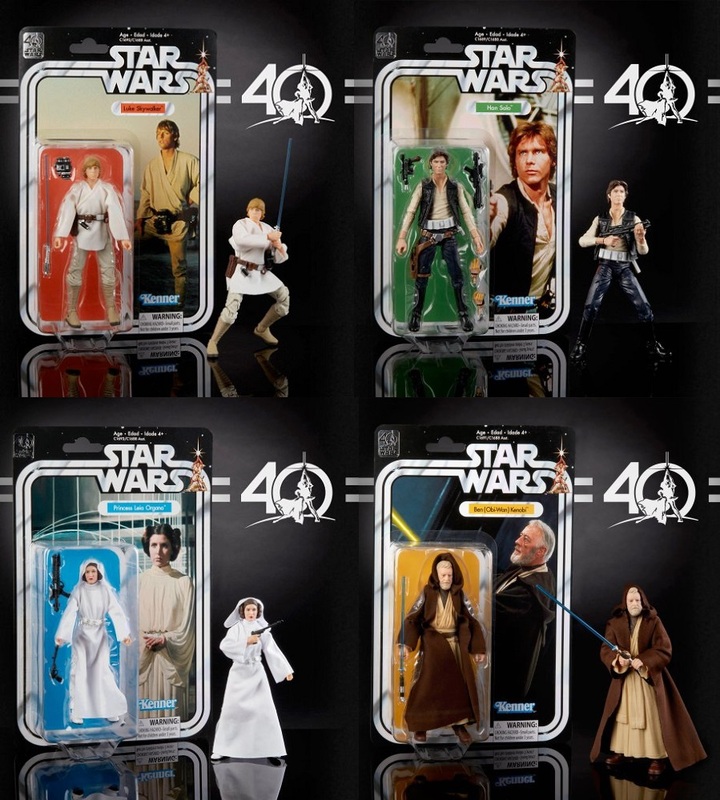 One of the biggest announcements coming out of New York ToyFair 2017 last weekend was the unveiling of a new line of Star Wars 40th Anniversary Black Series 6” action figures commemorating the release of Episode IV: A New Hope in 1977! If you were disappointed in some of the sculpts of the original Star Wars Black Series then you’re going to love these new figures. Many have been resculpted to even more closely resemble the actors they were based on. 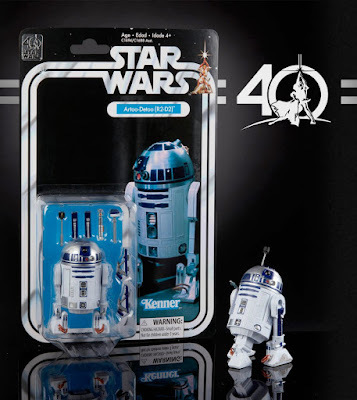 Even better still, each figure is now going to be packaged on a full color blister card inspired by Kenner’s original line of Star Wars action figures. As collectors have come to expect with Hasbro’s Star Wars Black Series, each highly detailed figure is based on a 6” scale, features tons of articulation and includes character specific accessories. 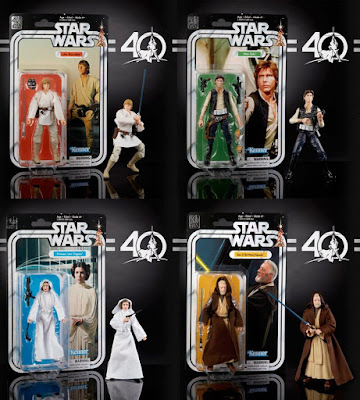 To kick off the new toy line, Star Wars 40th Anniversary Black Series Wave 1 will include Episode IV versions of Luke Skywalker, Han Solo, Princess Leia, Obi-Wan Kenobi and R2-D2. Collectors can pre-order a case of Wave 1, which includes eight figures in all, now at Entertainment Earth for $164.99 here.